Below, Right to Nonviolence provides a presentation and full translation of the text of the presidential decree reinstating the Egyptian parliament, dissolved by the Supreme Constitutional Court's decision on 14 June. The lull witnessed after the confirmation by the president of the electoral committee (Judge Faruk Sultan, also the head of the SCC) of Morsi's victory, and the rallying of Egypt briefly around him, is now over. One needs to watch in the coming days: the reaction of SCAF, the action of dismissed parliamentarians and the police and army's reaction to an eventual meeting, the reaction of the SCC and possibly other courts such as the administrative courts. And of course the street. This is the first time in recent Egyptian history that a SCC decision objecting election inequality through the quotas for independents and party members is openly contradicted. Even deposed president Mubarak had formally respected the decision of the SCC dissolving Parliament in 1987. However flawed the decision of the SCC on June 14, Morsi's decree, taken individually and without the benefit of a new largely expressive government, seems both excessive and ill-timed. The absolute priority is the formation of a largely representative government. 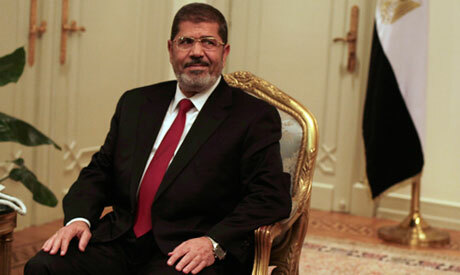 Without it, Egypt will continue to stumble from a difficult constitutional crisis to an ever more acute one. Article 1: The withdrawal of Decree No. 350 ordering the dissolution of the People’s Assembly as of Friday 15 July 2012. Article 2: The return of the elected People’s Assembly to hold its meetings and exercise its powers as provided for in Article 33 of the Constitutional Declaration issued on March 30, 2011. Article 3: The need to hold early parliamentary elections, within 60 days from the date of approval by Parliament of the new Constitution and the completion of the People’s Assembly law. Article 4: Publication of the present decision in the Official Gazette. This decision of the presidency was issued on 8 July 2012, 1433 AH."